We paid a visit to OK Plant. 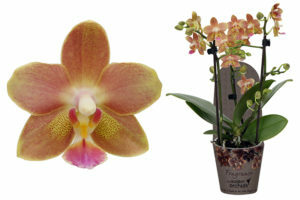 This company grows a number of seasonal products, but has really conquered the market with its Little Kolibri Orchids. We spoke to Thijs van der Valk, co-partner at this thriving nursery led by Rob and Désirée Olsthoorn. In 1990, when Sparmannia and Saint Paulia were the most important products, Marcel and Rob Olsthoorn took over the pot plant nursery from their father. As soon as the opportunity arose to sell our old site and move to a larger one, we seized our chance and drew up a whole new set of plans. That ultimately led to a lot of great things. At the time, lots of growers were cultivating Phalaenopsis in 12-cm pots. We also saw the great potential of Phalaenopsis, but wanted to look further ahead, as this high-quality indoor plant also deserved some special treatment. We noticed that the orchid was inextricably linked with matching ceramics. In order to keep the cost of the combined product low for the consumer, the production price and the shipment have to be in order. Our plan was born: Cultivate top-quality Phalaenopsis in 9-cm pots, design matching ceramics aimed at various target groups, and continuously adapt the product in line with changing trends. Where did this lead to? In 2008, we launched our first Little Kolibri Orchids on the market (Ed: the brand name under which their 9-cm Phalaenopsis is marketed). In the last ten years, we’ve increased production fivefold, but even now demand regularly outstrips our capacity. The development and continuous updating of our own line of ceramics have undoubtedly contributed to this success. We’ve actually just built a large warehouse next to the nursery to store the ceramics. However, the quality of our plants is also a strong selling factor. We cultivate more than 100 varieties of Phalaenopsis, and we know exactly what each variety needs. The plants are not encouraged to flower as quickly as possible, but are given the time to develop as well as possible. Quality can be controlled with computers these days, but we prefer to assess the plants ourselves. 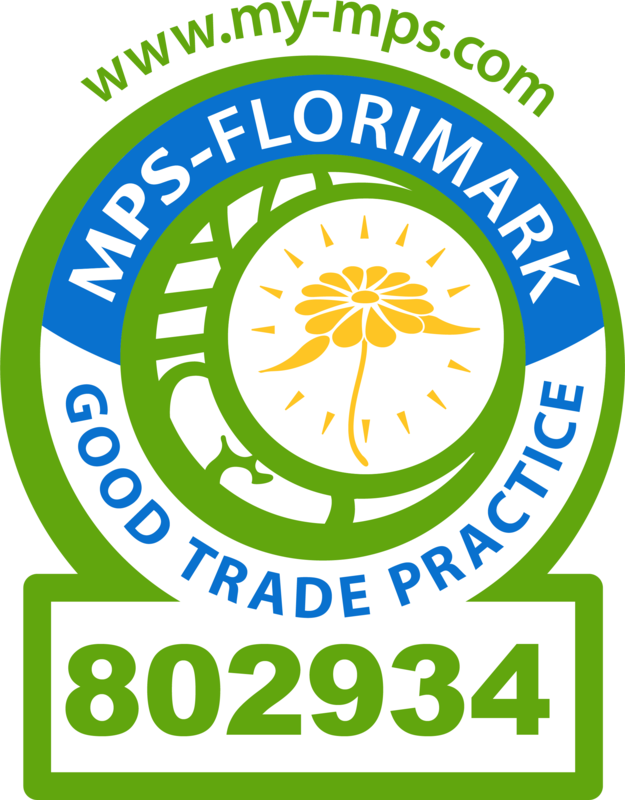 This means we can be sure that every plant in a tray of Little Kolibri Orchids is top quality. What does it mean to you to have Javadoplant as a customer? Our relationship with Javado is very valuable. Javado’s customers are exactly the same customers we focus on: the specialist trade in plants. Little Kolibri Orchids won’t be found on the shelves of a discount supermarket, that’s something we’re very careful with. Javado is one of our prime customers. We make sure that even at times when demand is high, Javado is always served well. Our objective is continual development, so every year one or two special new products are added to the Little Kolibri Orchid range. Recent varieties in the past few years include Halo, Big Sensation and Victoria Falls, and this autumn we introduced Tiny Bouquet and Fragrance. In addition to developing new varieties, we have also designed sustainable packaging especially for garden centres. Phalaenopsis can be transported and unpacked using this package without a cover and without suffering any damage.